Are you concerned about all the chemicals and additives in store-bought bread? Do you want to provide wholesome, homemade, nutritious bread for your family? Have you always wanted to learn how to make bread but felt intimidated? Are you looking for new bread recipes and ideas? If you answered"yes" to any of these questions, then this book is for you! 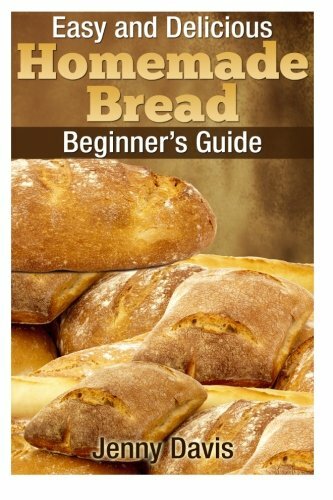 This comprehensive homemade bread book includes: · All the basic information you need to understand the bread-making process · Tips and tricks to get the best results, every time · Easy bread recipes for beginners · Detailed instructions for every step of the process · Nutritional information for each recipe · A wide range of bread recipes, including gluten-free and Paleo bread, corn bread, flatbread, pizza dough, sourdough, focaccia...and much more! Get your copy and start making delicious homemade bread right now!